Everything you need to know about djembe reskinning is detailed here, with photos, diagrams and links to the tools you will need. Djembe skins can break during playing, while tuning the drum or all by themselves in the middle of the night with a loud crack. Horrible as any of these sound, re-skinning is a task I believe every serious djembe player should go through at least once. I say 'go through' because it's hard work and is not a job you want to be doing an hour before a jam session. If you don't have some sort of tensioning device, there's some strenuous pulling on the ropes to do. Then there's all that weaving to thread, which can take its toll on your hands. The job might be easier with someone to help. If you have any back problems, or don't feel up to the physical task, ask a burly friend or relative to chip in. Sira kelen sira te - "One way is no way at all" - Malinke saying. That's our way of saying ​share your tips in the comments. The metal rings grip the skin in place over the top of the wooden shell. The rope is used to tighten the skin and make the drum playable. 3 lengths of rope are used (we'll ​discuss rope more later). Rope 1: ​Used to make the loops around Ring 1. Rope 2: ​Used to make the loops around Ring 3. Rope 3: Used to​ thread between Ring 1 and Ring ​3. The rope ​on the metal rings is a simple weave of one piece of rope​ all the way around. The verticals are used to pull the top ring towards the bottom ring, stretching the skin and tightening the drum. We will talk about creating the loops and verticals in detail later. Animal skin is used, most commonly goat. Cow skin and antelope can also be used, as well as synthetic skins. If you are replacing a broken skin, there are several available. ​Check the skin against the light for imperfections. A good skin should not shed hair excessively. Choose thicker skins (>1mm) for large drums over 35cm diameter. Thinner skins (less than 1mm) are best for higher-pitched or smaller rims of 30cms or less. Thinner skins seem to be easier for small hands and beginners or intermediate drummers. Thicker skins are more difficult to play and would suit more advanced players. The shell is usually carved from one piece of wood. They range in size depending on preference and several types of wood are used. Djembe reskinning should really be done over two or even three days to allow the skin time to set before tightening fully. On your first try, allow about 3 hours, to fit, string and tighten the skin and another hour the on following day to retighten. It is best done outside, or on a washable floor. (Optional) To oil the drum you will need to add a day or two in between dismantling and re-skinning it for the wood to dry. Once assembled, the skin will take a few days to dry. If your rope is freyed in places or has snapped, you will need to replace it. For one large drum you will need 100ft pre-stretched nylon cord, 4.5mm/ 3/16" diameter. There are plenty of colors to choose from. Here's a selection of the best djembe ropes on Amazon. They're all the same, just pick a color. You can choose to either have skin with hair, or skin without. If you are doing this for the first time, I would recommend skin without hair. It will save you time and effort when reskinning, but you will not have the option to have a fur collar around your drum. 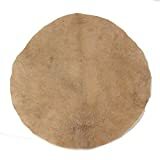 Here are a few of the best djembe skins on Amazon. This small device is for gripping the rope and allowing you to pull on it without giving you blisters on your hands! Well worth it. This is a device for pulling the ropes to tighten the drum. It replaces the short stick above. This one is quite expensive, but if you're going to be reskinning more than one drum in your life, it's a great investment. This is used for adding grip to the rings, so that the rope does not slip. You could also use a 3m strip of cotton cloth about 5cm wide. 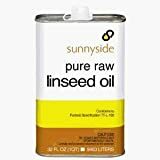 Some people suggest shea butter, altough I would go for linseed oil,but avoid boiled linseed oil. This is the good stuff. This product is actually for cricket bats, but will do fine on a drum. Bend and fold the skin carefully so you can fit it into a bucket of tap water, making sure to submerge the whole skin without cracking or creasing the playing area. Soak the skin for 2 hours if possible. The longer it soaks, the more pliable it becomes and the easier it is to remove the hairs. Some people leave it for as long as 2 days although longer than this is probably unnecessary. It kinda starts to stink too! If the old broken skin is damaged, simply cut or tear it off. Use a hammer to tap the rings loose if necessary. Once the rings are loose the vertical binding should be easy to undo. Undamaged skin can be used for another drum, in which case you will need to undo the verticals without tearing the skin. It's best to replace the rope every time you re-skin, but if you're going to re-use the old rope, check it carefully. Using rope that is frayed anywhere more than ¾ of the original width is risking a lot more work later. Then check the rope loops on the metal rings for freying and the rings themselves for damage and have them repaired or replaced if necessary. Any metal workshop should be able to cut, turn and weld a replacement steel rod for you. The outside edge of the top of the shell should be a nice smooth curved edge. If the edge is sharp or angular, playing can be painful on the hands. If necessary, use a rasp to file and then sandpaper to round a nice edge to save on bruises. Note that the inner edge shouldn't be rounded, concentrate on the outer edge and sand off any sharp points. If your drum has any small cracks, use a coarse mixture of sawdust and wood glue to fill them. Larger cracks are bad news I'm afraid - almost irreparable in the long run. You could try wrapping some thick wire around the drum to stop the spread, but its not gonna be a great drum or very pretty. This may take an extra days or two, but oiling the wood will help to keep it hydrated and beautiful. To oil your drum, simply brush the entire shell with the raw linseed oil. Come to think of it, the smell of linseed oil on wood reminds me of every African curio shop I've ever been in to. It is fairly easy to work with but avoid contact with the skin and eyes. Use an old paintbrush to apply and leave for a couple of days for the oil to be fully absorbed. Until then, your re-skinning will be on hold. Note: This only needs to be done if the existing rope on the rings is old or has frayed. If your rope is fine move on to 6. Making the drum head. Undo the existing rope and any cloth or grip that has been used underneath it. These strips of cloth allow the rope better grip on the ring. 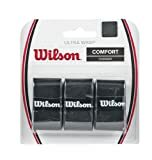 Replace this using the rubber grip or long strip of cloth. Wind the cloth or rubber around the ring and tie off or tuck away any loose end. The loops in the bottom ring need to be done with the metal ring still around the waist (it usually isn't meant to come off, but some do) , which makes it a bit more tricky. Step 1: Starting at one end of the rope, thread it around the ring as shown. Step 2: Thread another loop as shown. Step 3: Tighten the knot and repeat the process, slowly working your way around the ring. I​mportant! Make the same number of loops in the top and bottom rings, and stick within the 22-30 limits on regular sized drums. When you reach the other end of the rope, tie the two ends to each other in a reef knot/square knot, shown ​here. The loops in the small ring are a mirror image of the loops in the top ring. The process is the same, but we provided illustrations below to help. IMPORTANT: Remember to make the same number of loops in the top and bottom rings, and stick within the 22-30 limits on regular sized drums. ​Step 1: Remove the old rope completely. Starting at one end of the rope, thread it around the ring as shown. ​Step 2: Thread another loop as shown. When you reach the other end of the rope, tie the two ends to each other using the reef knot. ​​This is the dirty bit so dress down and do this outside! Remove the skin from water and examine the slimy side for any loose skin or fat and remove with a knife. Stretch it slightly by standing on one end and pulling the other as shown. Try to stretch all sides evenly. Now take the large metal ring without loops and tie a small piece of string on at one place as a marker (this will come in handy later). 1. Lay the skin hair-side up on a table or clean flat surface and place the large unbraided ring in the centre. Align the ring so that the spine (darker, denser hair) runs down the centre and the string marker is at the top. Remove excess skin, leaving a border around the ring of at least 15cm on all sides. 2. Fold the edges over into the centre of the ring, creating something that looks a bit like a dim sum. Mmm. The is the first part of the drumhead. 4. Place the drumhead on the rim of the shell, aligning the string with the mark you made on the wood. Check that the drumhead is centred on the rim and place the braided ring on top. As neither the jembe nor the rings may be exactly round, hold the ring in place over the jembe and rotate them if necessary to find the best fit. Position them centred on the rim, with an equal distance between the drum and the ring all the way around. Bend them if necessary to make a good fit. Now take the other large ring (with the loops on it) and lay it over the drum head, aligning it carefully so the rings line up with each other and both are centred over the drum shell. A length of rope is used to thread loosely between the top loops and the bottom loops, all the way around the drum, creating what are called verticals. 1. Thread the rope between the fist two loops as shown. 2. Take the left hand piece and make a bowline noose as follows. 3. Take the right hand piece and thread through a loop in the bottom ring and up through the next one. 4. Thread back up through the top ring again - up through the same loop as you came and down the next. ​Continue this way and thread the entire drum without putting any tension on the skin. If you don't get all the way around, don't worry. 6. Starting at your original knot, gently tighten the rope by working your way around the verticals taking up a little bit of slack on each. When you reach the other end of the rope, tie it off and start again. Do this at least a couple of times, getting progressively tighter each round. Be careful not to pull the rings out of alignment or you may end up with a skew drum head. You don't have to make it incredibly tight, just enough to hold the rings in place for the next step. 7. Turn the drum upside down, resting it on a covered surface. Starting where your noose is, work your way around the drum again pulling tighter on each vertical to take up more slack. Putting the drum upside down will help you get more leverage, as this needs to be quite tight. When the verticals have been threaded all the way around the drum and sufficiently tightened. When you get back to the beginning, tie off on the noose. The more you can do this while the skin is still wet, the better. At some point, cut the string on the 'dim sum' we made earlier - the string that holds the loose edges of skin together on the face of the drum. This might help to allow you to tighten the skin further. When you're tightening, remember to keep the drum upside down or the rings may go out of alignment. Finally, when you've had enough of that, tie off the rope and turn the djembe the right way up again. You're done with threading the verticals! There is more tightening to be done later, but we'll get there. When your drum is the right way up, fold the excess skin back over the sides. Finally it's starting to look like a drum! There are two options to choose from when deciding what to do with the excess skin. You can allow the excess skin to flop over the sides and create a collar covering the rings and the top section of the rope loops, or you can cut it close to the rings and have no collar. The excess skin can be folded out over the rings and trimmed just below the top of the rope loops, before being allowed to dry. Use a length of rope or string to hold the skin down over the rings and cut the excess skin off below the rope. If you would prefer a clean cut look, i.e. not much hair or fur on the edge of the drum, cut the excess skin off with a pair of scissors as shown below. Cut quite close to the rings so as to leave the rings visible, but not too close so the skin slips out. You should have about half and inch of skin sticking out (1 or 2cm), and it should be short enough not to stick out and interfere with your playing of the drum. The most common is to shave the hair on the drum face with a razor blade. This can be slow and can leave your drum skin with a few nasty nicks if you're not extremely careful. It is also easier if the drum is tight and the skin is dry. 1. Hold the razorblade between your thumb and forefingers and use a little bit of pressure to bend it slightly. 2. 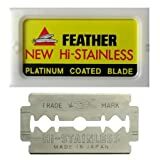 Hold the razor blade at a 90 degree angle to the skin and shave with the grain of the hair. Be careful! When you're mostly done use a light, smooth sandpaper to remove the last stubble and dirt from the skin. Work carefully and lightly to remove all hair on the face of the drum and lightly sand a border around the rim, until the whole face and edges are smooth and clean. Take your time to remove all dirt and hair without scratching the skin. Be careful to sand lightly. ​Booya, the first part is done! There's still the tough job of djembe tuning to do, so when you're ready, continue to Djembe Tuning. Superb and extremely well done. Many, many thanks!